Hay wagon rides are an enjoyable way of getting around at the annual PA Organic FarmFest, scheduled for July 28 in Centre Hall. CENTRE HALL — Phenomenal growth in organic farming over the past few years has launched Pennsylvania into the No. 2 ranking in organic sales, second only to California. Pennsylvania Certified Organic will celebrate this achievement by presenting the seventh annual PA Organic FarmFest July 28 at Grange Park. The event will run from 9 a.m. to 6 p.m. and is free and open to the public. Growth often brings with it challenges. Pennsylvania Food & Farm Policy Forum, presented at FarmFest, will provide an opportunity for attendees to learn about, share and discuss regional issues and engage with public officials on important topics affecting Pennsylvania’s agricultural community. To address this need, PCO has partnered with Pennsylvania Farmers Union, Pennsylvania Association for Sustainable Agriculture and Rodale Institute to present speakers, panels and discussion circles on the Farm Bill, dairy economic issues, grassroots advocacy, women in politics, transitioning to organic, animal welfare standards and more. 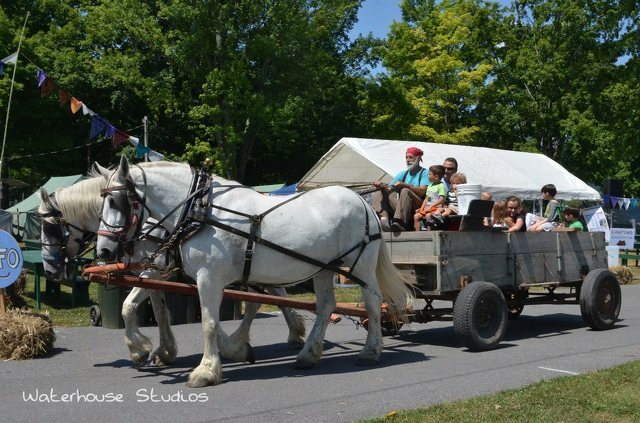 Ongoing demonstrations and activities include blacksmithing, wild mustangs, rescued farm animals, wildlife, falconry, reptiles, fish printing, wagon rides, bike taxis, camping demos and an organic pavilion. With 100 exhibitors, barns full of animals, health and environment workshops, craft demonstrations, organic food and live entertainment, FarmFest visitors will find activities for all ages. Camping is available onsite and dogs and bicycles are welcome.